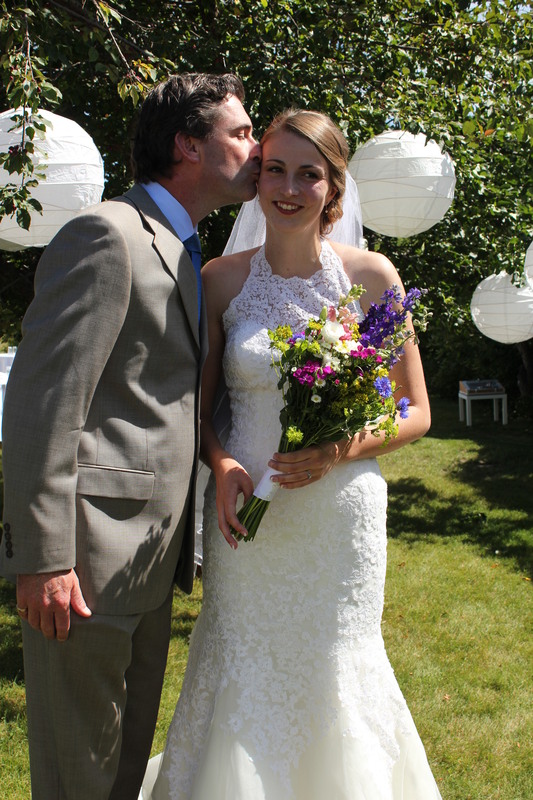 To kiss my daughter on her wedding day was the sweetest thing. One of the greatest days ever (thank you Canada); one of the sweetest kisses ever (thank you God) – the most beautiful girl in the world. The best marriage advice whether novice or expert…. (I say “expert” advisedly)! “When I talk with people who come to me in preparation for marriage I often say, ‘Weddings are easy; marriages are difficult.’ The couple wants to plan a wedding; I want to plan a marriage. They want to know where the bridesmaids will stand; I want to develop a plan for forgiveness. They want to plan the music of the wedding; I want to talk about the emotions of the marriage. I can do a wedding in twenty minutes with my eyes shut; a marriage takes year after year of alert, wide-eyed attention. Weddings are important. They are beautiful; they are impressive; they are emotional; sometimes they are expensive. We weep at weddings and we laugh at weddings. We take care to be at the right place at the right time and say the right words. Where people stand is important. The way people dress is significant. Every detail – this flower, that candle – is memorable. All the same, weddings are easy. But marriages are complex and beautiful. In marriage we work out in every detail of life the promises and commitments spoken at the wedding. In marriage the long and rich life of faithful love that the wedding announces. The event of the wedding without the life of marriage doesn’t amount to much. It hardly matters if the man and woman dress up in their wedding clothes and re-enact the ceremony every anniversary and say, ‘I’m married, I’m married, I’m married’ if there is no daily love shared, if there is no continuing tenderness, no attentive listening, no inventive giving, no creative blessing.